With New Super Mario Bros. 2 about to hit stores, it's prompted a lot of debate about the Super Mario series as a whole. We decided that we'd take on the list that cannot win, and declare Nintendo Life's favourite Super Mario games. In total, 16 members of staff rated their top 10 Super Mario titles from a list of 14. Only games that are part of the core franchise are included, so no spin-offs, remakes or re-releases are considered — with the possible exception of Super Mario Bros.: The Lost Levels, in which case the eventual worldwide release of the Japanese sequel was featured. We also excluded Super Mario RPG: Legend of the Seven Stars, Wario Land: Super Mario Land 3 and Super Mario World 2: Yoshi's Island, on the basis that these are either spin-offs or other character's games with the Super Mario branding. Although our staff voted for a top 10, every game received votes, so we'll list all 14 titles in descending order. No-one will agree with the whole order, but you can choose your own favourite in the poll at the end of the article. New Super Mario Bros. brought a long awaited return to 2D Mario platforming after a long absence when gamers had only been treated to re-releases and re-mastered titles. It was a commercial smash, combining with the behemoth DS system to achieve outstanding sales, but its position in this chart reflects a sense that the level design, difficulty level and overall package don't quite capture the magic of the 'old' Super Mario Bros. titles. It's by no means a bad game however, and a must-own for DS owners. 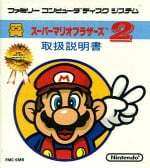 Seen by some as the true sequel to the original NES classic, as it was in Japan, this is a notoriously difficult Mario title. The rest of the world saw an entirely different Super Mario Bros. 2, but these Lost Levels were eventually unleashed on the world and probably led to a few Mario-related tantrums. A true challenge for platforming ninjas, and if you get to the end credits then you can rightly claim to be a Mario master. Mario's first ever appearance on a handheld, this entry boasts some of the catchiest music in the franchise, and added some variety with a submarine and plane level. It may be relatively primitive, easy and simple by the standards of its contemporaries, but it's fondly remembered. If Super Mario Land was a fun but limited introduction to Mario on Game Boy, this sequel added much more content, some truly impressive level designs and even more catchy music. If you play this one you'll meet quirky Rabbit Mario, as well as see the first appearance of everyone's favourite gold-fiend, Wario. In some ways Super Mario Sunshine faced an impossible task when it was released, as it was the successor to Mario's much loved 3D debut — which we'll get to later. Despite that, it's an excellent title, with Delfino Island providing a large 3D world to explore, and shows creativity with its introduction of the F.L.U.D.D. system. The return of Yoshi is a delight, while the voice acting isn't, but this one did enough to earn a top 10 place. If New Super Mario Bros. on DS brought a long-awaited return of 2D Mario, this Wii entry scratched the home console itch. Bright, colourful visuals are accompanied by plenty of entertaining levels and the headline feature, multiplayer. Although the campaign is enjoyable in single player, finding a few friends may transform the game into the one of the most fun and equally maddening experiences in the series. When Nintendo decided that The Lost Levels was too difficult for Western gamers, it instead re-skinned Yume Kōjō: Doki Doki Panic (which itself started as an abandoned Mario 2 prototype) and made that the sequel outside of Japan. It's quite a diversion from the original, with four characters of varying attributes, levels with plenty of verticality and lots of vegetable tossing madness. It may be unlike any other in the series, but it's nevertheless a Super Mario title with the moustachioed plumber leading the gang. The original but, in our opinion, not quite the best. This is where the era of Super Mario began, giving millions of young children one of their first 'wow' moments when playing their NES. It's simple — so much so that Mario can't run left — but introduced some of the gaming industry's most iconic moments and features. With shortcuts and warp pipes part of the legend, this is an ageless game. Mario's first appearance in stereoscopic 3D arrived during the Holiday season in 2011, teaming up with another karting entry to help a 3DS revival. With gameplay that mixes 3D and 2D platforming sensibilities, a lot of levels to play through and the long awaited return of Tanooki Mario, this title shows a mixture of bold experimentation and the familiar. A must-have for Nintendo's latest handheld. The second 3D Mario platformer on Wii, this title continued the fine work of its predecessor to bring more gravity-bending innovation to the franchise. There are some difficult levels and challenges, the occasional innovative use of the Wii Remote, nods to retro classics and the return of everyone's favourite green dinosaur, Yoshi. There's some stunning orchestral music, too. The original Galaxy beats its younger sibling by one place. A title that has been touted by some as the true successor to a certain 64-bit classic, it introduces innovative platforming in outer-space, gorgeous visuals and an orchestrated soundtrack, and has earned near-universal plaudits from critics and gamers. Intuitive use of the Wii Remote contributes to a delightful playing experience, while the range of environments and level designs are amongst the very best in the Super Mario series. The first 3D Mario platformer innovated the genre and blew many minds when it arrived on Nintendo 64. The size of the environments was unprecedented at the time, and it's still the definitive 3D Mario experience for some. It has its share of catchy music, with levels that are now iconic and engrained in video game folklore; you can also mess around with Mario's face on the intro screen, which is enough on its own to earn legendary status. As we got to the top entries the voting got very close, and the definitive NES Super Mario title settles for runner-up spot. This is a platformer that was incredibly ambitious in scale and level design when released, but met its lofty goals with aplomb. Outstanding gameplay, iconic power-ups, warp whistles and intricate details keep enthusiasts coming back for more. A Nintendo Entertainment System masterpiece. The image says it all, as this title claims the crown of Nintendo Life's favourite Super Mario game. This entry utilised the 16-bit power of Super NES to produce vibrant, colourful visuals, delightful music and refined, top-class gameplay. It introduced Yoshi to the world, a memorable moment when originally released, and took the series in a number of new directions. The secrets of Super Mario Bros. 3 are nothing compared to this one, with coloured switches, various secret exits and other tricks adding to the experience. Whether you're a retro gaming fan or not, we believe this carries the 2D platforming flag for others to follow. So there you have it, our list of favourite Super Mario games. We'd love to read all of your thoughts, opinions and lists below, and you can vote in the poll to help decide the Nintendo Life user's favourite in the series. Yep! I absolutely agree! Super Mario World is by far the best Mario game! Super Mario Galaxy 2 is easily the best Mario game ever. Super Mario Land (Game Boy) was very addictive game for me 20 years ago. I remember that i borrowed gameboy from my friend with this game and i loved nintendo and mario series. The original Super Mario Bros. is still my fav Mario game. No way SMG2 is the best game in the series. Haven't played it since I beat it. It was basically an add-on for Galaxy 1 but easier except for a few stars and the addition of Yoshi which I didn't care for unfortunately. I don't see why a lot of people like SMG2 to begin with. It's like Mega Man X-2...nothing has changed from the first one, just a little bit more features. Also, SMS should have ranked a whole lot higher and I'm going to be the first to say it: Super Mario Bros. (the original) is not that great of a game. My opinion. I love Super Mario Sunshine with that it has so much variety and added what Super Mario 64 couldn't gameplay wise: Yoshi! Super Mario Sunshine should have ranked higher in my opinion, definetely better than Super Mario Bros. 2. @TheConsiglio Speaking of Super Mario Sunshine, it will celebrate its ten year anniversay in the U. S. on August 26.
yes, SMW is the pinnacle of platforming. But where's Yoshi's Island (aka SMW2) ??? SMG2 is, for me, the only game in over sixteen years that has been better than Super Mario 64. No other game has even come close. @Mk_II 'We also excluded Super Mario RPG: Legend of the Seven Stars, Wario Land: Super Mario Land 3 and Super Mario World 2: Yoshi's Island, on the basis that these are either spin-offs or other character's games with the Super Mario branding.' That's where it is No-one in the NL team is denying its awesomeness, as far as I'm aware! Thank you, thank you, thank you for putting SMB2 on the list. I get so frustrated with all the hate it seems to get. It's one of the most unique, clever, and fun platformers I've ever played. Mario Galaxy and Mario World are my top 2 Mario games. Though I have not played Galaxy 2 or NSMB Wii. mario games I've ever played, with a much better control scheme, Mario's voice (which isn't that annoying unless you die a lot), and of course the epic secret exits. For spinoffs it'll be Paper mario N64. so much stuff to do, and partners! SMRPG was just too different to me, with out of place partners (Geno and Mallow), and it's grinding requirements. I've flip-flopped between Super Mario World and Super Mario Bros. 3 so many times over the years, I've actually lost count. But as of right now, Super Mario World is my top pick! @TheDreamingHawk: How are the controls for SMW terrible? A is your spin-jump — yes, it's different from how a Mario game controlled on the NES, but it's not hard to get used to the Y/B/A setup IMO. I never liked Super Mario World. The lack of special suits, similar looking stages, and lots of backtracking made it feel like a step backwards from Super Mario Bros. 3. I would rate that game a 6. Super Mario Bros. 3 is my favorite! I'm kind of surprised by the Sunshine love in the poll. Yeah, it's a great game, but better than 3, World, and Galaxy? Anyway, Mario Galaxy is my favorite game ever, but I'm very fine with World being considered the best. My favorite is the 16 bit version of SMB3. @theblackdragon Gamecube controller on wii VC is what I use. And it's just uncomfortable for me. Granted, the game itself is great, but I'd only play it again if they released SMA2 on the 3DS VC. I'd say I agree with almost all of it... but SMG1 shouldn't be NEARLY that high on the list in my opinion. Great list, though! @TheDreamingHawk: looks like me and you both could use that snazzy SNES Classic Controller from Club Nintendo. So little love for Super Mario Bros. 1 on the voting list. Anyways, this list was disappointingly predictable. "When Nintendo decided that The Lost Levels was too difficult for Western gamers"
Why do people still insist that this happened because it was too difficult? It doesn't make sense. If it were true, Zelda 2 might have not happened and instead we would have gotten a re-skin of Tōjin Makyō-den Heracles no Eikō (the first Glory of Heracles game). No other company seemed to have such mindset either, considering the systems reputation of having plenty of really hard games. What does make sense is that Lost Levels is pretty much identical to the first Super Mario game, with exception to level design, some graphical changes and poison mushrooms. I can't just choose one favorite. Even when limited to 14 games, there's too much to be compared. The 2D and 3D games are especially different from each other. Anyways, I pick Yoshi's Island, cause it is the best one Super Mario 3D Land is a second with Mario Bros 3 in third. Super Mario Galaxy 2 is one of the greatest games of all time. So, that. @hydeks Actually, in Japan it's just called "Super Mario: Yoshi Island"
Great list! Super Mario World is a masterful game, but my personal favorite will always be Super Mario Galaxy. That game defines Nintendo magic for me, I get chills just by playing it. I'm surprised by Super Mario Sunshine being so low and Super Mario 3D Land being so high. Still, its all opinions. Mario games are all so excellent, its so hard to decide which one's the very best. The next series I hope to see get ranked on this site is The Legend of Zelda. Didn't care much for Galaxy 2 when I got it. It seemed the same as the first but with a little more umph! But the second time I played through it was when it really shined. I was at my 7 year old cousins house and they had got it as a gift. There was nothing to do so I played it for about 4 days straight with the children rooting me on! It is much more fun playing it with people who are experiencing Mario as a first-time. A magical moment indeed. 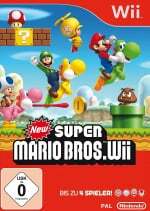 I have to go with New Super Mario Bros. Wii because it combines 3D and Sidescroling together, Wich makes it an awesome game to me, and with the ability to ride on yoshi and do 4 Co-Op play during story mode all at once makes it awesome. Yup, Super Mario World was my favourite game of all time until Super Mario Galaxy came along. Then there was the even better Galaxy 2. So Super Mario Galacy 2 is the best - and absolutely so. I voted Mario 64 as #1, and it's not there — rigged! @Mickeymac If you knew how crazy this list was for us to just decide on what titles are valid, not to mention the craziness that ensued afterwards, you'd know just how unpredictable this list actually is. It's funny that Yoshi's Island was left out though - it would have probably beaten SMW :3 (it did for the users that is - on the Game vs Game thread). #1 is a good choice. I agree. Super Mario 64 for me. Awesome!! Seeing the final list is making me want to have a Mario marathon! And oh man, to this day I can hum most of the stage music from Super Mario Land - seriously great tunes! @TheDreamingHawk - The gamecube controller is not practical for SNES games, nor was it meant to be used with SNES games. You can't call the control scheme horrible when you're not using the proper controller. Get a classic controller and experience the magic. I couldn't agree more with Super Mario World as the best. I don't think it will ever be topped. New Super Mario Bros just doesn't do it for me since I've played SMW as a young child back in the 90s, and I've always come back to it periodically even to this day. The rest of the ordering I don't quite agree with, other than #3 and #2. Your top 3 matches mine for sure! I chose Sunshine! Galaxy was also pretty fun but Sunshine has the bigger worlds, wich I love! It's strange though: I was very sceptical about Sunshine (I feared it would be to colorful for me) and Zelda the Windwaker (I was sceptical about the artstyle), but guess what: Sunshine is one of the best Mario's, while Windwaker is one of the best Zelda's! Since Yoshi's Island (Super Mario World 2) isn't featured on this list, I'll have to go with Super Mario World! Easy choice for me really, since this was both a wonderful game AND introduced the best character ever (Yoshi), although Super Mario Galaxy 2 is a close second, then Super Mario Bros. 3. Super Mario Sunshine is my favorite; also my introduction to the GameCube. I loved how you could interact with just about anything with the water to fight off enemies, collect items, and pass obstacles. The game struck a good balance between Mario's athletics and F.L.U.D.D., so it had sufficient challenge. Even if there wasn't as much content as there could have been, the fun of experimenting with F.L.U.D.D. and just exploring made up for it. I also loved the setting, atmosphere, and puzzle solving aspects of the game; they made so many great memories. One of the most innovative, memorable, and above all, best Mario titles. This is all just opinion, so I won't make too much of a fuss, but I just can't understand how these Mario lists keep putting SMG1 above SMG2. I don't care if SMG1 came out first and is therefore "fresher." The question is, to a gamer who has never played either, which is better? Clearly it is Galaxy 2. They should be looked at as stand alone games. Mine's Super Mario Land 3: Wario Land. I don't care if you don't play as Mario, they put his name in it so it's eligible imo. Either 3D Land or World for me. super mario world is my favorite 2d one and super mario 64/64 ds was my favorite 3d one. The first Super Mario Galaxy is the ONLY Mario game with a good story behind it, the level-design is top-notch and the amount of innovation is great. World was just generic. Basic level themes. 3 took it to a new level, with Pipe and Giant Lands. Super Maeio Sunsine for me considering thats the first game I have ever owned. Super Mario Advance 2 = Super Mario World was really the very best Mario Game !! It was more than AMAZING !! I'm asking why they didn't put so many secrets in the follow ups, as in Super Mario World ? Although many might not agree but I think Super Mario sunshine is the best game ever. Its so much fun! And I thought it looked amazing. Super Mario world is a great game but I never got to play that much. I only played through the first world. I have to throw out the qualifier that I've not played SMG or SMG 2 through. I've never finished Sunshine, and I have a thing about finishing games of a series in order. Even then, in my book it's hard to imagine anything ever topping World, one of the finest games ever of any genre. Maybe this is something for another article, but as Thomas pointed out about New Super Mario Bros, it didn't have the magic of the old SMB titles. I wonder what it is about the new ones that make them inferior, even though they come many years after the original SMBs+World? Don't get me wrong, I'm just happy to be playing Mario side-scrollers again after the decade-and-a-half drought. But, NSMB, NSMBWii, and I'll include Super Mario 3D Land, were missing something, and I can't figure out what. I know the music has gone downhill from World ("bah bah", WTF???). It's more than that, however. One thought I have is, all due respect to Charles Martinet, I wish Mario DIDN'T have a voice in these. 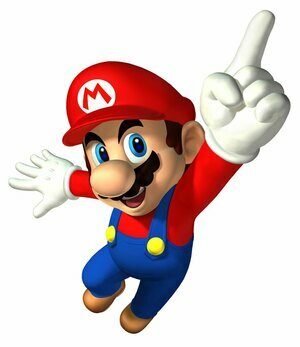 Mario didn't have a voice in the originals, and somehow in retrospect I think that was better. It's hard for me to take the NSMB games as seriously as the originals. They lack an "epic feel" at times. Maybe Mario saying things like "letsa play" is part of that, reminding the gamer that it's a game. It has a "breaking the 4th wall" feel that turns me off. Enemies stopping to dance or hop to the "bah bahs" is another 4th wall smasher. Any more thoughts on the matter? weird I had no idea there was such a love for mario world. To me it was just the biggest jump in tech to date and felt impressive but like someone said some of it felt repetitive in design and seemed just like an updated, shorter Super mario 3 to me. I won it fast and got sick of it at the time. Mario 3 and Mario 64 were the two that so drastically changed things for so many other games as well. They were the standout games for so long as innovative and new and pushing the limits of their platform. Mario World was kind of a re-tread of 3 in many ways so I was anxious for the next thing right away. My guess is also that some of the voting is dependent on age differences. THe stand out title for some of us depends on what age we were at when it came out and what games meant to us at the time (which is fine). If the pool of voters was older my guess is that mario 3 would have the top spot. Mario world is the oldest one that younger players can still relate to in terms of graphics not feeling archaic and everyone likes to know the best "original classic". Mario 64 blows everything here away for it's time, but has the unfortunate role of starting the path for 90% of games today, so the 3d maybe feels less perfect than it is in games now. Easily mario 64 is king and always will be if you played it that day way back in 96; it changed everything so much, and did it so well. my vote would actually be super mario 64 DS, but it isn't an option. @theblackdragon I'm going to buy one on ebay, as long as it'll work with a NA controller. I am not a person who whines over CN rewards, so I just take what I have and be happy like you. At least since the Gold nunchuck, which I will never get in time. 14. New Super Mario Bros.
@Millenia I actually do have a classic controller, but the new feeling of it is nothing compared to me playing SMA2 on a gameboy player. If it was like 3D land where the B and A buttons both jumped, and X was the spin jump, I could bear the original more. The SNES controller could also make it more comfortable, as I tried it on a real SNES at my friends and it felt better, but I'll still love the SMA2 better no matter what. Super Mario World is the best, although New Super Mario Bros Wii is almost as good, and there has never been a better Nintendo soundtrack than that of Super Mario Galaxy. @RenI think nostalgia has a huge role in it too. Truth be told, there are probably a number of factors non-gaming wise that factor into what our favorite things are. For instance, Super Mario World & the SNES came at a happier time of my life. Maybe the proverbial rose-colored glasses cloud my judgment, maybe not. Also, I was there that day in '96 too. Yet, I don't have Super Mario 64 lower because its graphics are from a previous generation, but rather I'm just not as crazy about 3D games. There again, nostalgia and generational differences. I started with gaming in the early '80s, so I became attached to side-scrollers and platformers at an early age. Something else I thought of is that because aforementioned nostalgia, revisiting a beloved franchise years later often goes badly. Best example I can think of is the Star Wars prequels. Not sure how many times I've read that George Lucas violated somebody's childhood with the prequels. They're almost universally hated, even though they weren't THAT horrible (I wasn't crazy about the first two, but thought Revenge of the Sith was quite good). Another movie that did poorly after restarting a franchise years later was Superman Returns. There was nothing wrong with it (except that the luscious Parker Posey wasn't Lois Lane), yet it was was received about as well as the SW prequels and bombed at the box office. Maybe Nolan's Batman not only fared better but exceeded Burton's Batman because it was a reboot with no connection with the original series started in '89. But, I digress. Attached emotional value from nostalgia seems to have a huge role in fans' pecking order of a series, and I imagine a person's emotional state at the time of an installment's release is too. Maybe I don't like the NSMB games as well because life has been more of a struggle, and I haven't been as happy. People worldwide are struggling through recessions and depressions right now. Is it a coincidence that despite how good anything from media is; whether it's a video game, song, movie, or TV show; is often blasted and blasted hard online? I personally don't think so. A legend like Super Mario Bros. may've been ripped to shreds by critics and fans if it were originally released today. Who knows? We need @James to comeback and write a top Sonic article. Seeing how high Super Mario 3D Land ranked up on this list shows how little purpose this list has. Super Mario 64 is my personal favorite, and it seems like a lot of people agree with me. Super Mario Galaxy 2 comes very close though. Also, I like how low the NSMB games and Sunshine are on that list, lol. Hmmm tough choice but for now I think I will go with SMB3. Mine will always be the one that got Me playing games in the first place, Super Mario Bros. 3. @FluttershyGuy Superman Returns was easily the worst and most boring superhero movie I've ever seen! Anyway, I think that SMG2 deserves the top spot with SMG in number 2. SMG changed up the game and raised the standard by which all 3D platformers are judged. Then we got SMG2 which took everything the first game did, made it bigger and better, and finally added YOSHI! SMW was easily the greatest of the 2D Mario games, but I'd put it at number 5 if not a bit lower. World's the best! 3 got boring for me for some reason. World had it all. 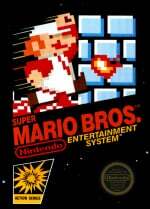 I consider SMB3 to be the greatest video game of all time (followed by MYST). I think I finally figured out why I dislike Super Mario Bros. 3, thanks to some of these comments and especially @FluttershyGuy. I played the game in the form of Super Mario Advance 4, after experiencing 3 other excellent Super Mario Advances. Super Mario World, in particular, has "coloured switches, various secret exits and other tricks adding to the experience," according to this article. Advance 4 just seemed lacking after such an experience. I couldn't REPLAY LEVELS, I couldn't save when I wanted, I even had trouble beating most stages! I was expecting the game to be a sequel of sorts to Super Mario World. In my eyes, the game was missing so many obvious features and was cumbersome overall. The money grubbing e-reader cards Nintendo tried to sell didn't help things. Yes, the context of one's experience plays a very big role in personal rankings. Super Mario World IS the best Mario game of all time. I can agree! Hmmm, I was actually having a conversation with a friend about this very topic not too long ago. And my favorite Mario was Super Mario World! Cape Mario is one of my favorite transformations (even though it looks more like a blanket ^_^ ) I wasn't as crazy about SMB3 as everyone else was when it was released. I enjoyed it. I liked how you could stock up on items and store them. And looking back I can see how NSMB for the DS was really influenced by SMB3. Another Poll you can do is "Favorite Mario Power-Up"
Super Mario Galaxy is by far my favorite Mario game (and favorite game of all-time). It has the perfect blend of standard-setting gameplay, beautiful music, striking and vivid graphics, and touching and epic story. 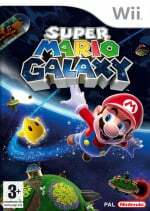 Galaxy is the complete package for me, and I hope Mario Wii U can do the same with the addition of M&L co op and large, 64-like level design. Super Mario World is, of course, the pinnacle of the 2D series, with such amazing new (at the time) features such as the interconnected world map, secret exits and levels, and the addition of Yoshi. There's just an atmosphere about World that will be hard to recapture in future 2D games, not in the nostalgia-side, but instead from the innovation perspective. However, it should be said that I find the original SMB my favorite 2D Mario of all time just because of what it did for the series; introducing the timeless tale of Mario VS Bowser, being the debut of the Mushroom Kingdom, the start of such iconce items as the Super Mushroom & Fire Flower, almost single-handedly saving the video game market, and finally ushering in the modern era of videogames with its revolutionary sidescrolling action. Whoo, what a mouthful. It added the most to the series of all the entries. It is the only Mario I have played through more than three times, it is just awesome. Mario 3 for me, it has the best suits by far. Super Mario 64 is my all time favourite Mario game. I have the most fun playing SMB3. I like the short, yet creative levels. SMW does everything bigger and better, though, so I voted for that one. I also like the pastel color art style and overworld. Mario isn't really all that great series for me though tbqh. I'm glad Super Mario Galaxy beat out Super Mario Galaxy 2, and I agree. It was better than the second in every way. Though the second was still good, it didn't come close to the awesomeness of the first Galaxy. Come on people! Show some support for SMG2! 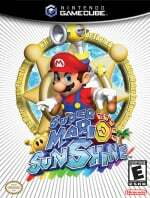 My favourite out of the 3D games is definitely Super Mario Sunshine, what an amazing game that was. My favourite 2D is SMB 3. But still, Super Mario Sunshine beats them all. It has to be Super Mario World for me too, I think as someone above already mentioned a lot of people's opinions will be based on the era they grew up in and the first console / game they owned. I never actually owned a NES although I did regularly play the first 3 games at friends houses, my first Console was the SNES which for those who don't know (not many I'm sure) came bundled with SMW. 1. Super Mario Galaxy 2. (Yeah it's a sequel, but it improves on so many things in SMG that it deserves the spot more than it's predeccesor). So yeah I like the 3d ones more clearly but man even just trying to decide which shouldn't be included is crazy. And heaven help us if you decided to include the mario RPG games, (Mario and Luigi and Paper Mario). Basically it just highlights the reason why Mario is king, 30 years and none of his main line games have been duds. 13) New Super Mario Bros. I suppose that's how I vaguely feel about the Mario platformers. There's definitely a big drop-off between 10 and everything below it, though. EDIT: A more amorphous "tier" system, rather than somewhat rigid numerical rankings, might reflect my affection for them more accurately. 1-5 are among my all-time favorite games ever made and each could easily be my favorite flavor of Mario on any given day, while 6-10 are games I still had a great time with and enjoy re-playing ever now and again, and 10-14, while not without their merits, felt like let-downs, to varying degrees. Perhaps I should have said "at the time I got mine it came bundled with SMW"
I suppose super mario all stars is how I really remember the first 3 mario games, I always preferred that version to the original NES versions. I think cause I always played it with better visuals it's hard to go back to the original NES versions and still get the same enjoyment, it's like theres something missing. @Nintendolife... Seeing as you've all probably played it then, where would you put New Super Mario Brothers 2 on the list? Quite high up, or a mere honourable mention? Just curious, is all! 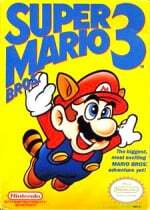 Oh and Super Mario Brothers 3 is easily my all time favourite Mario game. Surprised that there is so much Sunshine love here! Good to see! While it's not my favourite Mario title, I did give it a 9 out of 10 during Mario Month a couple of years back, it was in my opinion just the lack of variety in stages and terrible cutscenes that held it back! BTW: I chose Mario 64 as my favourite title, while I loved the original three Mario games on the NES, and World on SNES was fantastic, Mario 64 was the first one that told me I was going to be a gamer for life. Galaxy 2 is clearly the best. And 3D Mario > 2D Mario. @BenAV agreed, 2d Mario has like no originality anymore. Galaxy 2 is my favourite Mario game! I give props to SMB3 and SM64 though, had a lot of fun with both. And while the main platformers are awesome and also highly anticipated by me, the spin offs are just as good (even better!) with so many classics. Can't wait for NSMB2! @chewytapeworm Only two of the sixteen voting staff have played NSMB2, so tough to say. Maybe in a month or two we'll do an updated list of 15 games with that one included. Maybe! I swing between Super Mario World and Yoshi's Island as being the best Mario platform game ever. *I still count it, I don't care what anyone else says, it's called Super Mario World 2: Yoshi's Island, End Of. NL has hit the nail on the head. I'd switch the places of Galaxy and Galaxy 2 though. i agree with the first 3 =D i like super mario galaxy 2 more then super mario galaxy 1 but, that's only my opinion. SMB3 just has my heart. I do admit to SMW being the better game, and so it has a strong silver medal, but I just adore SMB3! Sunshine should be replaced by 6 Golden Coins. I don't care at all for the Galaxy Games...the motion controls annoyed me. I started Galaxy 3 times and tried liking it really hard and I just couldn't get used to playing while collecting stars with my right hand (I'm a lefty). It's between SMB3 and Super Mario Galaxy 2 for me. Sunshine for me. The gamecube was my first true console so it's rather nostalgic. A pretty good list overall. My favorite 3D Mario is Galaxy 2 while my favorite 2D one is World. Keep in mind that I played and beat World before 3. And I will always put SMG2 before 1 for several reasons, like having a better balance between epic, orchestral songs and more Mario sounding songs, being more challenging overall and adding a second quest at the end which felt like a whole new game. I never played Sunshine when it was released, so maybe that is why I dislike it so much. Did not like the cheesy voice acting and the atrocious, dizzying camera. Has it ever occurred to you that the Wiimote and Nunchuck are controllers that you can use in either hand? If that still does not work for you, remember that a second person with a wiimote can pick those star bits for you. Now go and give the Galaxy games the chance they deserve. Super mario galaxy 2. One of the best games ever! Full stop. Super Mario World and Super Mario Galaxy. Both are definitely some of the all time high points in gaming history. Super Mario World and Super Mario Bros. 3 are definitely tops. Super Mario 64 made for a really great Christmas, but the other 2 are the best. Happy_Mask [email protected] - I totally agree! That Power-Up is so great! Will it ever return? (Also, bring the big green shoe back! As you can see I prefer Mario in 2D form as I have never really been hooked on any of the 3D ones...! Power-Ups: SMW only had 5 including Yoshi, SMB3 had SO many more + items! I liked the way you could stock up your power-ups and items and it was nice with the mini games too! Also, I love Giant World from SMB3! SMW is close though, since it has a lot of other strengths! I love Super Mario World. It's my hands-down favourite. @sinalefa Yes, I tried both hands but after using the nunchuck (or let's say the stick / d-pad) with my left hand for 20 years and used my left hand for jumping / firing for twenty years it felt weird. But I promise you if my girlfriend ever feels like playing Mario (right now we're playing Layton) I'll try the two player option. Super Mario World is awesome, I completely agree. The integrated map is really nice. The special and hidden levels have effect in your gameplay and they lead you to different ways. The dead sound is great. And the level end is just perfect, way better than the flag post. Flag post is too boring, in older games you just got points, but nobody cares about points in SM. And in new SM the top give you 1up, but if you don't hit it, too bad, just points. SMW is way different, got the gate bar, congrats. When you reach 100 you win a chance for a bonus. A chance, you still don't get 1up. Has to be Super Mario 64 for me. The first and best 3D Mario game, as it has all the lovely nostalgia, epic soundtracks and cheesy boss fights =). Super Mario World was my first Mario game, and it was great! I played it for hours on end unlocking new areas and finding new secrets. I even got all of the Yoshi coins eventually. @TheDreamingHawk Totally agree with you on the GBA vs SNES thing. The GBA versions of SMW and Yoshi's island are far more comfortable to play than the original SNES versions. Good list. Super Mario World definitely belongs as number 1 !! However, my favorite in terms of nostalgia are Land 2 and 64. I agree with this lists number 1. Super Mario World! I wonder where Mario World 2 would rank if they included it? That game didn't have the cultural significance as the first, but many people and critics agree that the sequel was deeper and more imaginative than the first. I don't think Nintendo considers "Super Mario World 2" to be a canon name, as that part of the title is left out completely in the GBA version. Mario Galaxy. Brilliant soundtrack and so many genius ideas bolstered its gameplay. Galaxy 2 introduced some new ideas, however I didn't come away from it feeling as heavily impacted by it in a profound way. Super Mario World is a close second but I've always had a difficult time getting engrossed in a 2D Mario game. However, most of that issue has been alleviated with simultaneous co-operative play. The element of teamwork adds to the experience in various ways. All of my memories of any 2D Mario game are those shared with others overcoming challenges and obstacles. Great list! Super Mario World will always be the ultimate Mario experience. Also, I completely agree that New Super Mario, DS should be ranked last. I would have given Mario 64 second place, but I don't have many complaints about the list. I could never get into Super Mario World as much as anyone else even after I beat the game. I'm thinking that game was made for pros and ONLY pros, i'm clearly not one of them. 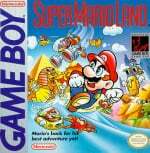 Super Mario Land is not Mario's (nor SMB series) first ever appearance on a handheld http://en.wikipedia.org/wiki/List_of_Game_%26_Watch_games#Super_Mario_Bros. Very difficult to pick just one title, i went for Super Mario 64, it was incredible the first time i played this on my brand new N64. For me none of the Mario games since have had quite the same impact, but are superb games nonetheless. 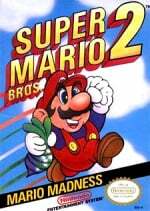 My other favourites are Super Mario World (SNES), Super Mario Bros 2, and 3 NES/SNES), and Super Mario Land (GB) - again this was a superb launch title, which i still really enjoy today. 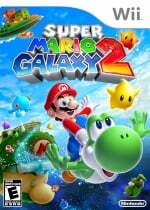 Without using the stupid "lazy sequel" excuse, how exactly is the first Super Mario Galaxy better than the second one? Okay, i think i've finally made up my mind about a top ten. 9. NSMB - At least it brought us the shrink mushroom and some bosses other than the usual suspects. World and 3D Land are way too freaking high. I'm surprised the original wasn't higher! My choice? #5 was a difficult one and I couldn't decide so I'm going to firstly state that in the end Mario 64 (N64) was demoted to #6! Interesting that according to the poll there is a slight majority preference for 2D Mario games. While Galaxy 2 is a better game by today's standards, Super Mario 64 just held so much wonder for me and I loved having a hub-world to explore - so it is still my number 1. Of the 2D Mario games I'd have to say NSMB Wii's multiplayer pushes it above the rest. Here's hoping NSMB U can steal the 2D crown!